Home #BigQuestion Who’ll Win Karnataka Battle Of Titans in 21018? Who’ll Win Karnataka Battle Of Titans in 21018? 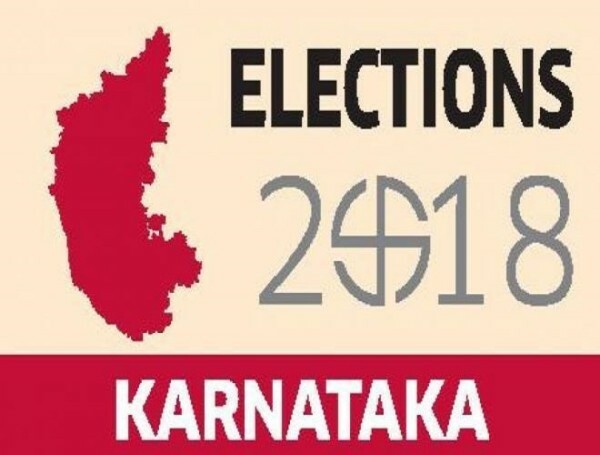 The assembly elections in Karnataka slated to be held in May are generating great interest as it is likely to have impact on the national politics and will decide whether the Centre would go in for early elections or not. The victory or loss of BJP in Karnataka will throw up new political equations at the central level. If the BJP wins Karnataka and Madhya Pradesh, Modi may decide to advance the General Elections to the end of 2018. If it loses then the saffron party may not take the risk of losing power at the Centre early. As the race for power is getting intensified, the indications as of now are that the Congress may retain its south citadel by emerging as the single largest party and would come back to power with the help of Janata Dal (S). Though initially, it appeared that the Congress would depend on the AHINDA – a coalition of minorities, Dalits and backward classes along with its core support base Vokkaligas – and the BJP would fall back on its Lingayat vote base and Hindutva plank, the saffron party faced with an aggressive Chief Minister in Siddiramaiah is facing a strong challenge. Add to this is the impact of fast-changing developments in Andhra Pradesh and various political parties extending support to the cause of Special Category Status. The Congress has got support from the TDP which has appealed to the Telugu-speaking voters in that state to vote against the BJP for having cheated the people. Initially, the BJP felt that the proposed alliance among BSP and JDS and Nationalist Congress in some seats in the bordering areas of Karnataka and Maharashtra would have adverse impact on the chances of Congress coming back to power. But it now seems that both the BSP and NCP have decided to keep their hands off from the electoral battle. The Congress party made a quick assessment of the situation, and changed its strategy. The Lingayats have been demanding minority status for a long time. There has been a clear divide between the upper class Lingayats and others. Hence, the state government declared minority status for the Lingayat community which has been a long-standing demand. Of course, the Centre is yet to accept it but then it can help the Congress politically. The main electoral plank of Congress is that it would provide a stable government and confer benefits on the poor and the common man through various schemes like Anna Bhagya, expansion of Indira canteens and other schemes. The issues that go against the Congress are anti-incumbency factor on issues like deteriorating law and order situation in the coastal region, killing of Gauri Lankesh in Bengaluru, attack on Lokayukta recently in his office etc. Coming to the city voters, people in Bengaluru are unhappy with the government as it had failed to manage certain civic issues like garbage, traffic and other urban problems. One thing that is now clear is that issues like GST, Sab ka Saath Sab ka Vikas, federal cooperation etc are not going to impress the voters. They are more focussed in local issues and are assessing which party would address their problems better. 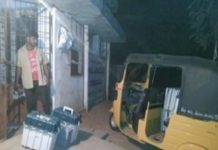 The electorate in Karnataka is known for following its own beats at the time of polling. The outcome of the polls will reveal the possible chances of Congress improving its count in Lok Sabha in the next General Elections. What is interesting here is that the Congress high command has given a free hand to Siddaramaiah just as it did with Capt Amarinder Singh in Punjab. He is allowed to chalk out his own strategies to ensure the return of the party to power. While Siddaramaiah is the star campaigner for the Congress, Prime Minister Narendra Modi is BJP mascot and prime campaigner and Amit Shah is their strategist. 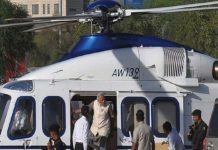 Modi and Shah have toured the state several rounds and will do so when the campaign is in full swing. The state party president Yeddyurappa, who has a mass base among farmers, is the lead campaigner. Though the BJP wanted to rope in mining baron Gali Janardhan Reddy, it finally decided to have indirect association with him and has accommodated his brother, instead. Gali will be campaigning for independent candidates supported by BJP. The saffron team has been harping on issues like breakdown of law and order in the capital city and coastal region, cases of corruption against some top Congress leaders, unresolved problems in Bengaluru, the divide between Lingayats and Veerashaiva etc. On the other hand, the JD (S) which is the third important player is projecting issues like farmer suicides, loan waiver and support price for crops as well as Cauvery water issue. It is also trying to play on sympathy factor as Deve Gowda who is now about 85 years is going around saying that this would be his last election. Another important factor in Karnataka this time will be youth and women who constitute a major chunk of the voters. The caste dynamics and equations will be crucial as mainstream political parties attempt to create new caste permutations and combinations to maximise their electoral fortunes. A lot would also depend on how the SC/ST, minorities and OBCs vote. These sections constitute about 50 per cent of the voters. The Congress stands to gain if these of these categories get divided. Along with that, if the Vokkaliga and Lingayat votes are split then there is every possibility of a hung assembly. ALSO READ: TRS Supremo KCR All Set To Become Only Telangana MLA With Record Votes Win! The focus areas of the Congress in Karnataka so far have been on Re 1-a-kg rice scheme which it had launched in 2013 and is said to have benefitted nearly 10 million below poverty line families. To meet the demand, the government had even imported rice from Chhattisgarh. Despite droughts, no deaths have been reported from rural areas. This was followed by other schemes pertaining to development of roads and housing. The government had allocated huge funds for these two schemes since 2017. It has also earmarked a good percentage of funds for STs and SCs. While it has succeeded in attracting investment proposals worth Rs 1.54 trillion, the unemployment rate has been around 2 per cent which is less than the national average of 3.7 per cent. The BJP which has drafted many important leaders to work out strategies appears to be targeting the Dalit votes. Some surveys suggest that segments of the Dalits are moving closer to the BJP. It feels that if it succeeds in winning over the Lingayat-Dalit-Brahmin combination it would have an edge over the Congress. 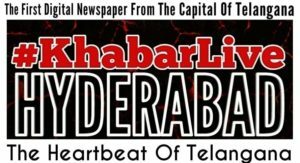 Next articleIs ‘Hyderabad Economy’ Paint A ‘Grim Picture’ In IT Collections? The Big Clean-Up After Modi’s ‘Swachh Bharat’?